Probably the Smoothest Deal I’ve Done Yet! Today’s is another from the Tenacious D(dealmaker) himself, Cy—a fun, little video he made right from his car driving away from the title company with another solid $15K payday in hand. Today, I have a really interesting deal story to share with you. And by interesting, I mean crazy! What you’re about to hear comes right from the mouth of a guy named Cy, who I’ve been coaching for a while, sharing his real-life, first deal story. And boy, was it a doozy. 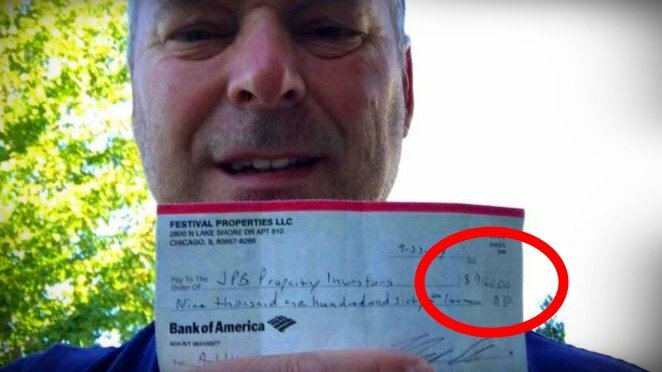 After recently sharing 25-yr old Dan’s first deal story, and Alain’s story where he pocketed $101.80 per minute on his first deal, I figured we should also maybe see the other side of the wholesaling houses coin: When a deal goes crazy sideways… and you still make great money on the other side of it. Hello boys and girls, got another thrilling win to share with you. Today’s hang-ten high-five goes out to Alain—yet another dude I have the privilege of walking beside as he builds a business. Alain just crossed that huge “first deal milestone” for a tasty $9,162 payday. This one he totally crushed 10 hour wholesaler style–without ever meeting his seller or buyer in person. We’ve been working together only 7 weeks before this first $9,162 payday. After a solid year of prior struggling with zero to show for it. All together, he’s got around 60-90 mins total into this deal. It was all way easier than he first thought it could go. Hey guys, Justin Wilmot here! I just wrapped up a killer phone call with someone that’s got me freaking stoked, and I really want to share it with you, right now while it’s fresh. It’s from a weekly Mentoring session where my boy Dan Kurdyla (only 25-yrs young) reported how, after nearly throwing in the towel so many times, he finally landed his first wholesale assignment deal to the tune of a solid $7,500 payday. Interestingly, Dan’s big win here is really more than just about the money (though it’s sure nice!) but also the priceless lessons crossing that first deal finish line has taught him. These are some hard-earned lessons you will never unlearn and always benefit from, Dan. Lessons that sure as heck took me a lot longer to learn myself back when I was ‘failing-forward’ with my own budding 10 Hour Wholesaler operation back in the day. And I totally get it, I really do. Everyone seems to be a cool ‘real estate guru’ nowadays, don’t they? With “Flip” shows more popular than ever, and fakes and frauds a dime a dozen, how can you really know the true PROS from the seedy CONS without seeing some legit proof-of-concept from other people first? Copyright 2019, Awesome REI, LLC.